A friendly plumbing business based in Stoke-on-Trent, we will be there when you need us. Great job during emergency call out. Steve arrived within the time he'd said and fixed a burst mains pipe. Very friendly and professional, would definitely recommend. Very professional and honest tradesman. Didn't over charge and fixed the problem quickly. This lovely chap has time for you and shares his expert advice. Would highly recommend. Excellent service, very efficient and reasonably priced. Steve is a friendly guy and I’d recommend him if anyone is after a plumber! Highly recommend Steve. Called him at 6pm on a Friday and he was with me within half an hour. Fixed the leak then offered me excellent advice on sorting the damage it had caused. Will be recommending him to freinds and family. Excellent service quick to respond and quick to get the job done. No mess and friendly well recommended. Rang up as I had a leak in the kitchen. Spoke to Steve and he was very polite and helpful. Told me a price and said he'd be with me within 30 mins turned up before then and fixed the problem quickly and professionally.he also helped us with another problem and explained what he'd done. Price was very reasonable and he did a great job. I had the pleasure of meeting Steve when he came out to help with a couple of outstanding issues that I had with a new kitchen installation. He was very professional and helpful, and went the extra mile to make sure that we were happy with the service that he provided. I would have no hesitation in recommending Steve to you and I will definitely be using him again when we need a plumber. Reliable, friendly Professional and did a great job! Will use again. Awesome service, I had a water leak and Steve came out very quickly and resolved the problem at a very affordable price. Excellent service and a quality job. Reliable and prompt, Steve stuck to his word, came out ASAP to price several jobs, got back to us quickly with a price and a date we could both do, really pleasant man to have in your home, courteous and left no mess at all. Stuck to the prices given and bought along his dad to ensure we were all up and running in our new home for Xmas! Couldn’t have asked for more. Will definitely use Steve for future plumbing and recommend to friends. Very friendly and reliable plumber who provided a great service. Steve was proficient and knowledgeable and nothing was too much trouble. Would highly recommend. Need an Emergency Plumber in Stoke-on-Trent? If you've got a leak from a water pipe or water is coming from somewhere and you're not sure from where, then give us a call and we will be with you fast. 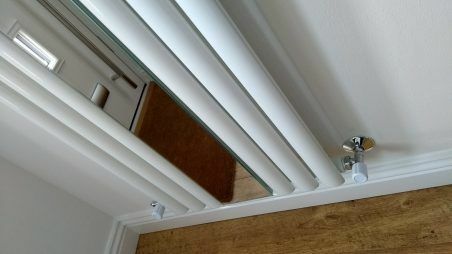 We pride ourselves on being your local plumber Stoke-on-Trent. Your Stoke Plumber is a professional, reliable and trusted plumbing service within Stoke-on-Trent and Staffordshire. As we are ‘Your Local Plumber’ we offer a prompt and friendly service to cater for all your plumbing needs, whether you have a leaking tap or require a full bathroom refurbishment we will provide a fully qualified and an insured plumber. We will respond quickly to EVERY enquiry big or small, arrange an appointment with you at your convenience and turn up on time to either fix the problem or to offer a free and accurate estimate of the work involved. Our business is our customers and we pride ourselves on building our reputation through hard work, excellent service and honest and fair prices. 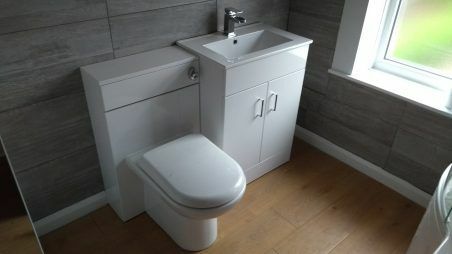 We pride ourselves on being your local plumber in Stoke on Trent and Staffordshire. We try to answer EVERY call or email enquiry and respond to ANY job. Get in touch today for a Plumber near me or a local Plumber. From simple repairs to major installations, we can serve your needs. Need an Emergency Plumber? Let us take a look, no call out charges! There is NO call out charge. We can discuss your job through text messages, email, telephone or face to face, we would only proceed with any work once you are happy with the price. When can you come out to me? Emergencies are our priority and we aim to visit within an hour of your call or message. Smaller jobs can usually be done the same day. Installations and bigger jobs will need to be planned at a mutually agreed date and time. 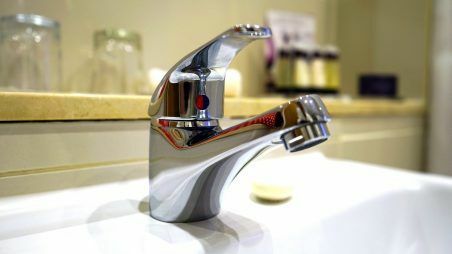 EVERY plumbing job is different and even though it could be a straightforward question such as “How much to fit a new kitchen tap?” we always find it better to see the job first and then give you a quote based on the work involved, you can then choose whether or not to have the work done. We would like to build a good customer relationship with you, rather than a take the money and run attitude adopted by some of our competitors. Plumbing is not an exact science and if a leak occurs after your repair or there is a problem with any work completed by ourselves then of course we will be back out to put it right. Some of the big plumbing companies out there offer a 12 month warranty with any work they undertake, which is a great promise, as the customer has usually paid 3 or 4 times more for the same work as it would have cost them from a local plumber such as ourselves! We would always rather have happy customers than angry ones, so trust us today!